a lily among thorns: Waiting. Delighting. Two years ago the desire to go to Haiti was planted in my heart. And though I prayed, I was not consumed by it. In my years of waiting, I could have hustled God, nagged Him, thrown fits, and questioned His purposes, or made attempts to make it happen. But for whatever reason, beyond myself, I did not. Looking back, I delighted in the Lord and now, well now I am about to experience God granting me the desire of my heart. It seems that we are always waiting for something: a job, a raise, a deal to go through, a spouse, a child, deliverance, a response from Heaven, or, you fill in the blank according to your situation. Basically, we are waiting for life to get better. I do believe that most of the things we are waiting for are not selfish, but God planted desires that will satisfy the “abundant life” that is promised to us in John 10:10. I ask for us to stop and consider this question: How are you waiting? Hold up! You too?! When we wait and our expectations aren't met within our time frame or in a less favorable manner we can spiral into a series of ugly and rebellious attitudes. Therefore, learning what delighting in the Lord is and it's benefits is instrumental for our waiting season. Delighting cannot happen if we are not in God's word, committed to prayer and active in His service. Delighting removes our constant fixation on the desire and causes us to focus on the Giver of every good and perfect gift. Delighting on the Giver will enable us to wait joyfully and patiently. Delighting through the waiting process will also guard our hearts from losing hope or lacking faith. Lastly, Delighting will change us, for it may be that the very outcome we are waiting for could differ from the outcome God has already chosen for us (which is always the better of the two). Whether you have begun to wait or have been waiting for x amount of time, know that God is fully aware of your desires. He has not forgotten you. He loves you and is working all things out for your good, and ultimately for His glory. My encouragement to you as you wait for ____________, is to not delight nor glorify a desire or its outcome, but delight fully and wholly in the Lord (not for what He can do or give, but for who He is). In His perfect timing He will grant you your heart’s desire and give you the abundant life He intended for you to live. 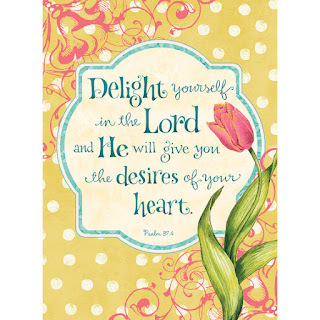 May we be delightful people with delighting hearts. Yes! 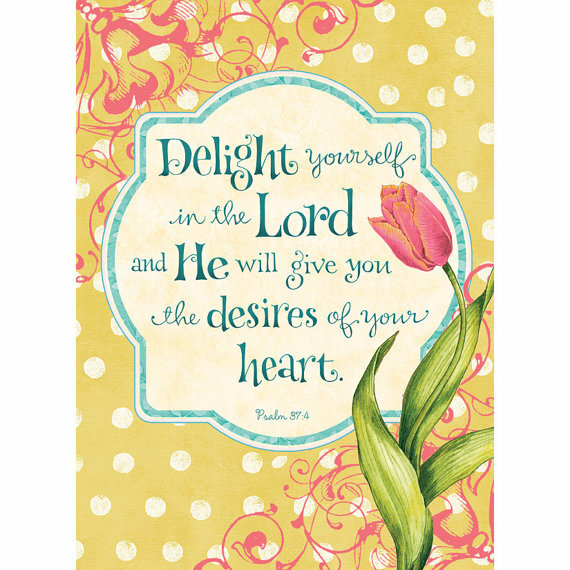 When we delight in Him, His desires ultimately become ours. I hope you have a good time in Haiti. I went to Jacmel a year and a half ago and I fell in love with the people, the culture... everything! I just know you will, too. Hopefully I have the opportunity to go back again. Agreed! I am learning this right now. There's so much He wants us to learn, experience, & do in the waiting season & the waiting is for a REASON I am learning!